the entire piece. The conclusion should include a restatement of the opinion, a brief reminder of the main points, and a statement of why the issue and the opinion are significant. 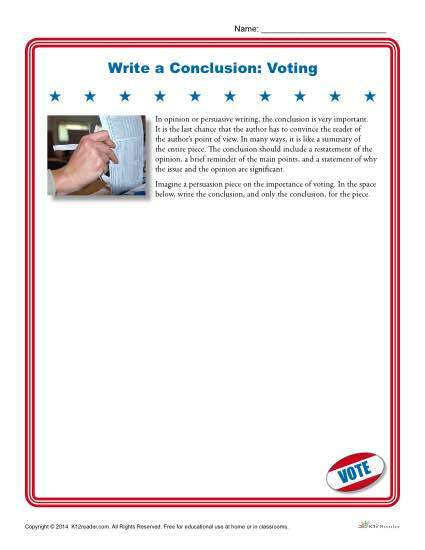 This worksheet provides practice so students can learn to write effective conclusions. This worksheet is appropriate for high school level writing.